"This sweet and salty, melt-in-your-mouth appetizer is sure to please anyone!" These scallops were super. I marinated them overnight and used frozen medium sized scallops. 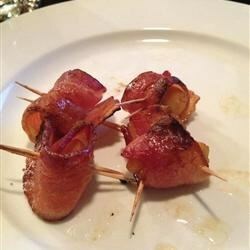 Great party appetizer.